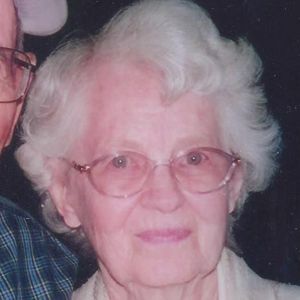 GREENVILLE - Essie Bransford Cobb, 96, of Greenville, passed away on Thursday, January 29, 2015, at 3:00AM at Greenview Hospital in Bowling Green. Mrs. Cobb was born July 24, 1918, in Muhlenberg County, to parents Elmo and Bertha Bransford. When she was six months old, she lost her father to the 1918 flu epidemic. She was preceded in death by her parents; and husband of 69 years, Earl B. Cobb. Mrs. Cobb was a resident of the Stringtown community in Muhlenberg County before it was lost to strip mining and was very active in keeping the history of that area alive. She was a graduate of Western Kentucky State College and taught in the Muhlenberg County schools of Prospect, Drake, Cleaton, Drakesboro, Muhlenberg Central, and Longest Elementary. She will be forever loved and remembered by her former students. While living in Greenville, she and Earl enjoyed attending Second Baptist Church. She is survived by her son, Mike Cobb (Marilyn Anderson); grandchildren Shelley Proctor (Scott) and Bart Cobb (Stephanie); five great-grandchildren; step-grandsons Derrick Mason (Shaunna) and Darren Mason; and five step-great-grandchildren. Funeal services will be Sunday, February 1, 2015, at 2:00PM at Tucker Funeral Home in Central City, with Dr. Ray England officiating. Burial in Wilcox Cemetery. Visitation will be Saturday from 4-7PM and Sunday after 1:00PM at the funeral home. Expressions of sympathy may take the form of contributions to Muhlenberg County Retired Teachers Association Scholarship Fund, c/o Tucker Funeral Home, P.O. Box 548, Central City, KY 42330. Online condolences may be made at www.tuckerfuneralhomes.com. The beautiful and interactive Eternal Tribute tells Essie's life story the way it deserves to be told in words, pictures and video. Mre. Cobb was my 3rd grade teacher at MC. So sorry for your loss. Our family welcomes another member in heaven. My condolences to the entire Cobb family. May your loss be replaced by loving memories. Prayers for peace are with you. My deepest sympathy to Mike and the family. Sorry for your loss. She was a very special lady and teacher. Essie was a wonderful friend. Have thought of her often. Mike, so sorry for your loss. You and your family are in our thoughts and prayers. We have many good memories with our families at Stringtown. Miss Essie was special. Mike, I am so sorry to hear about your Mom. My condolences and Prayers to you and the rest of the family. We are truly saddened by the loss of your precious Mother and our dear friend. We are praying that God will wrap his loving arms around you and the children, and other family member, and give you peace and comfort in the difficult days ahead.